And now for something a little bit different... and a little bit fun and Halloweeny! 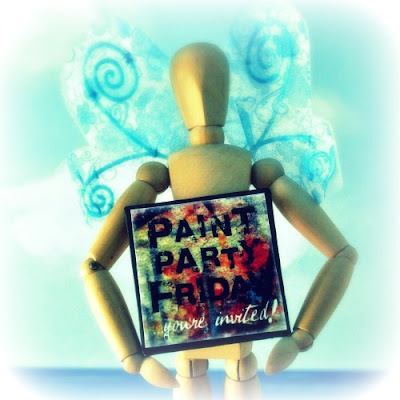 Welcome to Week 33 of Paint Party Friday where this week the big treat, as always, is sharing in and seeing each others' painting endeavours! Last week our poll talked about where you buy art and while "all of the above" won (as usual), the top three were - from Etsy stores, from the artist directly and from art festivals or friends who are artists. That suggests to us, that these could also be good strategies for selling paintings (if you are so inclined). The contact between buyer and artist seems to encourage you to buy and so contact with you as an artist, may encourage others to buy from you. We would like to explore that further but Hallowe'en is fast approaching as is the Day of the Dead (Dia de los Muertos). Many of you have been showing us art inspired by these celebrations and we thought we'd join in with a silly, fun poll and ask - What's your favourite Hallowe'en candy? 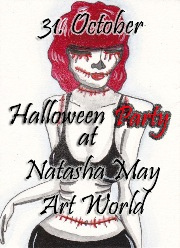 By the way, our friend and fellow partyer, Natasha May, is having a Halloween Party !! 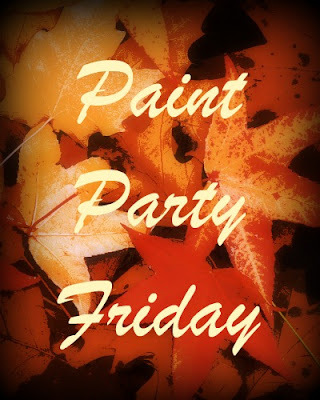 Join in the fun on October 31st at her blog if you'd like to partake in some artsy Halloween festivities. 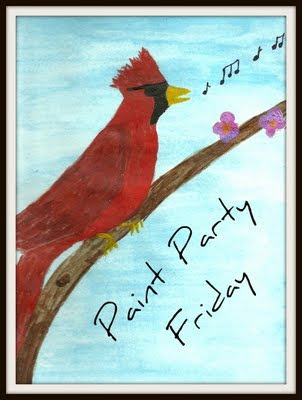 Meanwhile enjoy all the wonderful paintings and fabulous fellow artists here at Paint Party Friday! Welcome to Week 32 at Paint Party Friday! 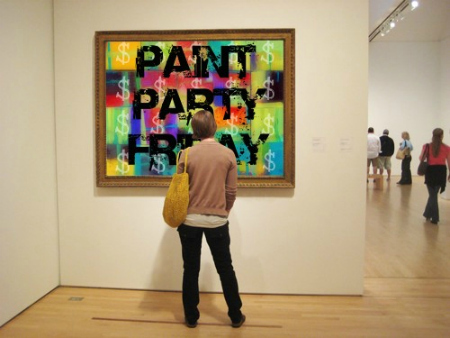 So great to have you all at the party, showing off your painting and visiting with the rest of us PPFers! Last week there was a great discussion at the party about framing - until the poll died temporarily. Everything seems fine now. (We are sorry - it was beyond our control and ability to fix it - we're so relieved it came back!) While you could, you told us that you use a number of different techniques for framing or that you paint the edges so framing may not be necessary. A number of you mentioned that buyers often want to make the framing decision themselves, and that made us think it would be worth looking at painting from a buyer's perspective, as we've spent the past few weeks looking at it from a seller/creator's perspective. So we wonder about the paintings you buy - this week we'll ask about where you buy and soon we'll discuss why you buy what you buy. The answers are interesting in and of themselves but we hope they also may help those of us who wish to sell art, to understand buyers' decision making processes. The decision is ultimately yours and we want you all to be comfortable no matter how you decide to manage your comment settings. We just thought it was worth mentioning since we've received so many comments and emails regarding this subject. Some PPFers also love to reply to your comments but can't - Geri has eloquently explained here how to change that so people can reply directly to the comments you leave them. We understand Blogger is changing everything on us soon so there may be more things like this to chat about as most of us (using Blogger) adapt to these changes next month. Let's try and help each other out and make it easy to visit, socialize and spend time together. Thanks everyone!! 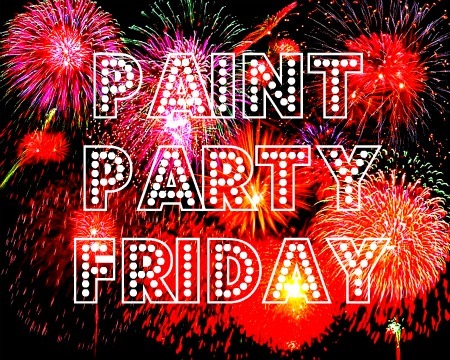 Thank you all so much for your comments last week - we are so thrilled that Paint Party Friday is helping most of us to paint more!! Welcome everyone to Week 31 - the "Framed" edition! * The blog poll site is currently down and so seems to be our poll :( Hopefully it will come back soon (14Oct2011 7pm). Sorry! Welcome to Paint Party Friday (Week 30)! 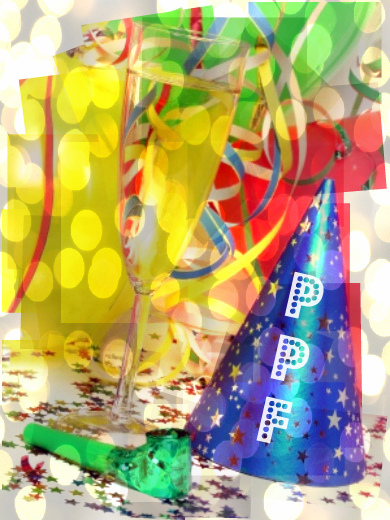 We are thrilled to have so much enthusiasm for PPF and there continues to be great fun and inspiration at the party each week. Thank you all! "In early 2011, we (Kristin and EVA) each mentioned on our blogs that we wanted to paint more this year. We had both just finished up the intense Sketchbook Project and have been participating in the fun Sunday Sketches (with Blue Chair Diary). We realized that having a weekly check-in helps us actually find the time in our busy lives to create. Otherwise procrastination often sets in. But where were the painting check-ins? If they existed, we didn't find them. So we decided to create one! 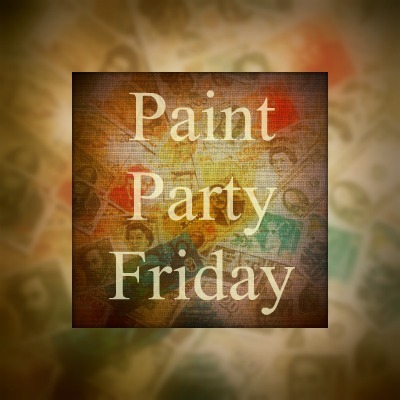 Paint Party Friday is a fun place to visit and check-in to show off your Works-In-Progress (WIP) and your finished paintings. Let us help you celebrate what you've done! There are no rules, we are here to play, paint, share our efforts with our friends, encourage each other and hopefully accomplish more together!" With that in mind, we hope you continue to share your weekly painting accomplishments with us! Whether you use watercolors, acrylics, oils, or mixed media and whether you paint on canvas, paper, in a sketchbook, on walls, wood (or chairs) - the paintings you create are welcome here! 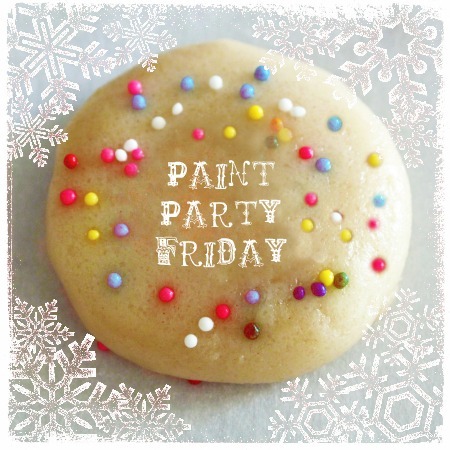 Hope you have a great time at the party and lots of fun painting! P.S. What incredible comments and advice last week! We will return to that next week. P.P.S. It was hard for us to talk about things like this issue, fearing to offend anyone. (We hope we didn't!) Since people are mentioning it to us, we felt more of you might silently be thinking the same thing and so it should be addressed. Welcome to Week 29 of Paint Party Friday! Whether you've been with us from Week 1 or are joining us for the first time today, we're so happy you're here to share the joy of painting! For the past couple of weeks we've talked a lot about pricing paintings and where to sell them. There have been great discussions and you have shared so many wonderful insights - Thank you all! Your comments raised some more questions and this week we are thinking about marketing. Marketing and sales go hand-in-hand, yet they are vey different activities. This week we're wondering: How do you get your name and artwork seen by potential buyers? 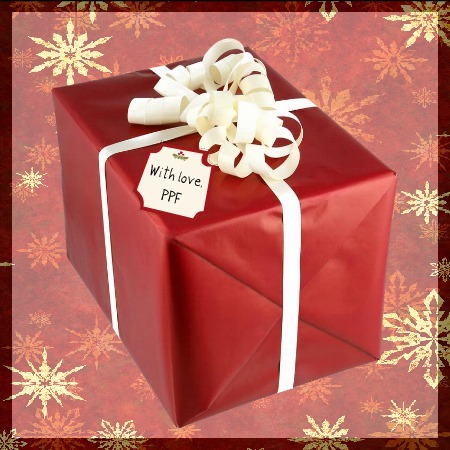 Please make sure to use your post URL address NOT your blog address as there are many late visitors who get confused as to which post is for PPF when they arrive (after Friday) at your website. If you are unfamiliar with Mr. Linky, an explanation of how this tool works can be found on Week 1 and Week 2 check-ins. P.S. 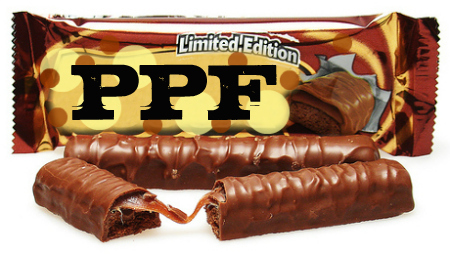 If you have a topic, you'd like to see turned into a PPF poll question, please email us your idea! Welcome to Week 28 of Paint Party Friday! 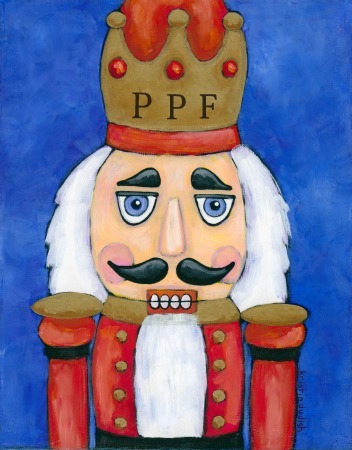 Whether you're a seasoned PPF participant or new to the party, it's great to have you all here! It's never too late to join in the fun with your painting efforts - just finished or works-in-progress! Last week we had a very lively and informative discussion about pricing paintings. You raised so many good points to consider and we enjoyed it so much that we didn't want the fun (and learning) to end! 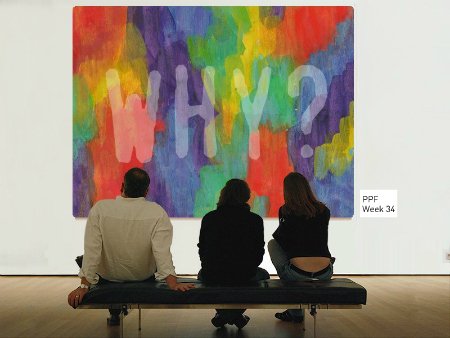 This week we're wondering where you sell your artwork. We'd love to find out more about what venues work for you, why you sell where you sell, and any insights about which sites you've found to be the most (or least) successful. We can't wait to read your thoughts - Please share your knowledge with us in the comments section! This should be an enlightening and interesting conversation at the party (in the comments) so please check back often and join in the discussion. 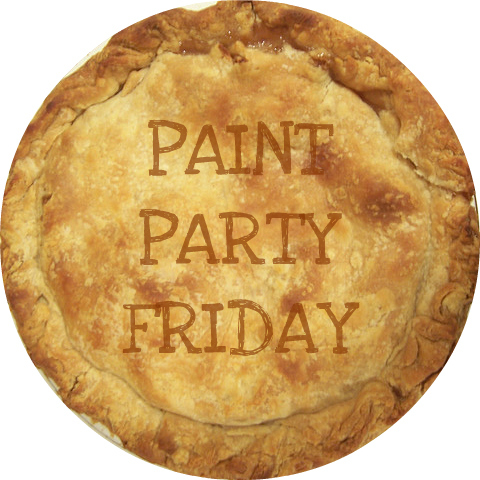 Whether you are interested in selling your art or you just love to paint for yourself, have a great time at the party! 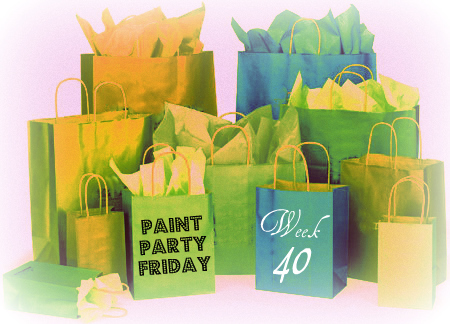 Welcome to Paint Party Friday Week 27! We are thrilled, as always to have such a great turnout at the party! Since we've had some email questions about people wanting to join in, we want to say YES!! 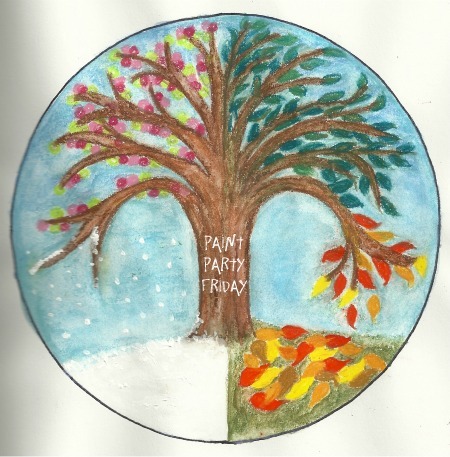 If you want to paint (and party), you are very welcome and indeed invited to join in the fun! Last week we discovered what your upcoming goals are and (surprise!) for many of us, painting is at the top of our priority list! No matter what your goals, what you are painting, or what other creative ventures you are working on, you all continue to inspire us. Last week in her PPF post, Kat (from Kat's Nature) posed a question about pricing her finished oil painting. We thought it was a very interesting topic and since it is relevant to many of us, we wanted to discuss it further. So this week we're asking: How do you price your artwork? This promises to be a lively conversation at the party (in the comments) so check back often and join the discussion. 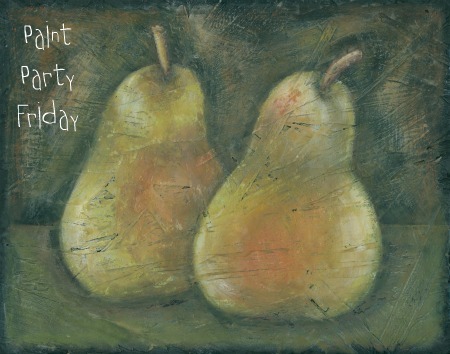 Have a great time at the party - whether you are interested in selling your art or you create for yourself. 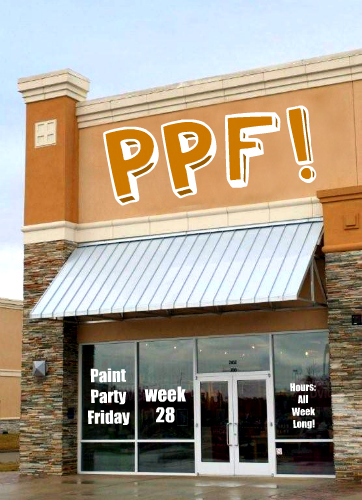 Welcome to Week 26 of Paint Party Friday! The half-year mark - how the heck did that happen already? We are delighted to have so many regular paint players and new participants every week. The talent in this group leaves us in awe. It sounded like a busy long weekend for most of you - seeing friends, soaking up the last of summer, refocusing with the kids back in school - and a little bit of painting! And here in the Northeast (EVA is in Ottawa and Kristin in Buffalo) there are already signs of leaves changing colour and falling. Which makes us wonder about your plans and goals for Autumn? 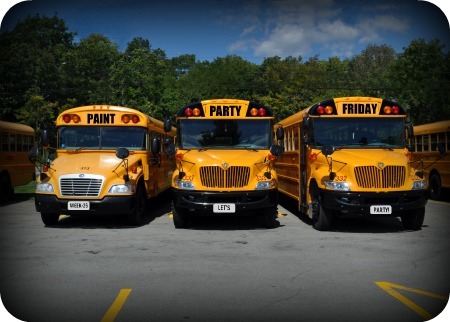 Have a fun time at Paint Party Friday! 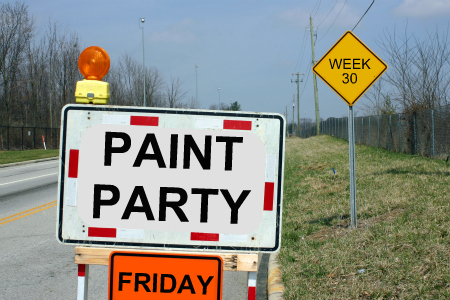 Welcome to Week 25 of Paint Party Friday and the Labor Day weekend in North America. It's the last long weekend before many schools start a new school year. It used to be that that all schools started here after the long weekend but now it is more staggered. We still think of it as Back to School time though! Most of you are ready for Autumn to arrive. There a few stragglers (like one of us) who want an endless summer but most of you were ready to move on! This week we wonder what the long weekend (if you have one) means to you? For those of you in the Southern Hemisphere and elsewhere - is there anything special about the passing of August to Spetember for you? We hope you have a super long weekend and a great time at the party! 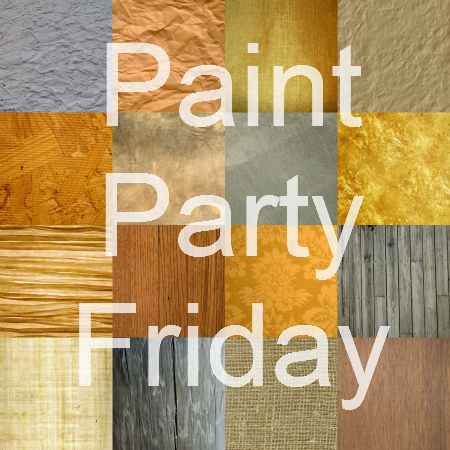 Welcome to Week 24 of Paint Party Friday! Summer is almost over (in the northern part of the Northern Hemisphere anyway) and it is so great that everyone is still painting and new players are joining in - fabulous!! A few people asked in the comments last week about getting listed in the "Paint Players" section on the left hand side. If you are not there and would like to be, please feel free to email us at paintpartyfriday (at) gmail (dot) com (you know what we mean... one must be careful about email addresses with those nasty spambots on the web) and we will add you to the list. Last week we enjoyed learning more about your favorite flowers - some had favourites but most of us love them all particularly wildflowers in the summer. They definitely bring us all lots of joy (and provide wonderful inspiration for some of our paintings too)! We've been having so much fun with our easy breezy summer posts, but as the days are getting shorter we are wondering what is still left undone on your summer fun to-do list? 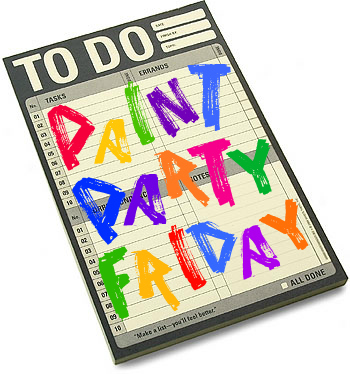 Have a fabulous time at the party and we hope you get out there and cross some fun to-dos off your list! 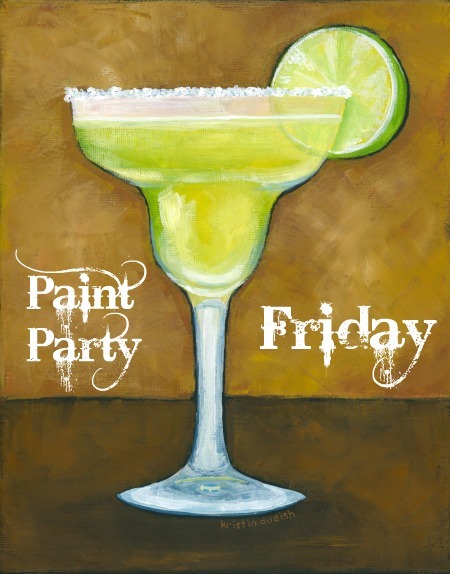 Welcome to Week 23 of Paint Party Friday! We were thrilled to see new players arrive at the party last week (Welcome!) and to have all of you continue to paint and participate even during these busy summer months! You are awesome! Last week's easy, breezy poll was about birds and if there was a favourite, it was hummingbirds and owls but most of us love to see all birds. We also learned about other kinds of birds we don't normally see, Rosie even posted a link in the comments so the non-New Zealanders could hear a tui sing! This week our poll asks about another common yet inspiring aspect of summer... We wonder, what is your favourite flower? 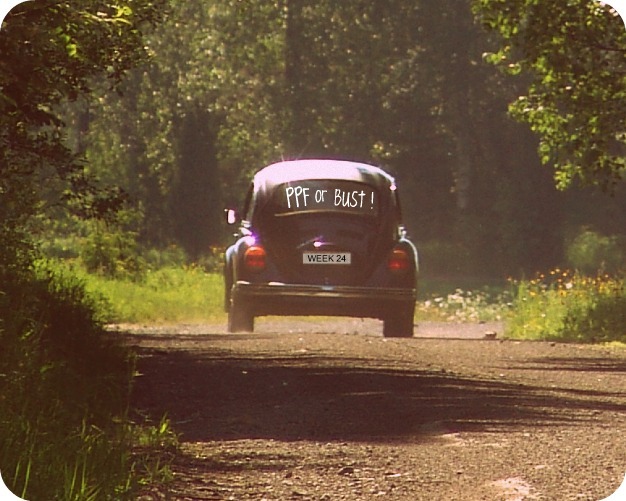 There are many late visitors during the busy summer months and it gets confusing if you link with your blog url instead of your PPF post url as to which post is for PPF. 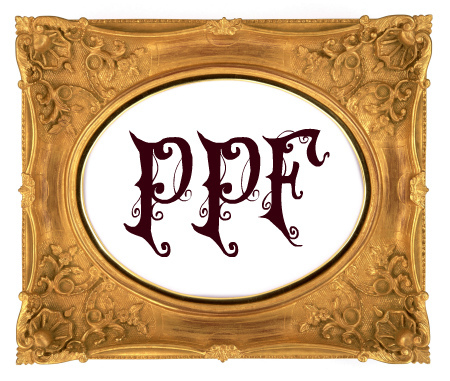 To encourage people to visit your PPF post, please make sure to use your post URL address versus your blog address. Thanks! If you are unfamiliar with Mr. Linky, an explanation of how this tool works can be found on Week 1 and Week 2 check-ins. Have a fun time at the party! 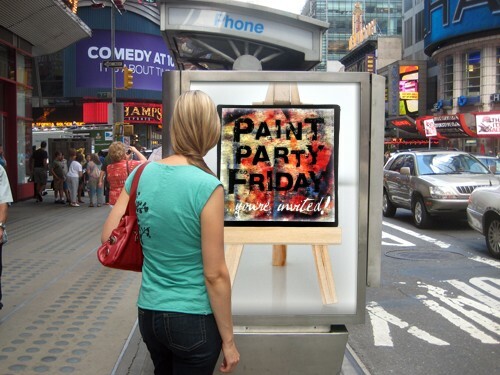 Welcome to Week 22 of Paint Party Friday!! (Week 22! Should we stop counting yet?) We are so happy to have each, and all, of you painting and visiting and joining in the fun here over this easy breezy summer! We hope those of you in the UK and Northwest are finally getting some sun. But rain or shine, one thing we've heard a lot this summer are the songs of summer birds. We suspect those of you in the Southern Hemisphere may have winter birds visiting you? We've been seeing birds appear as inspiration in your (and our) paintings and we wonder... what is your favourite bird? 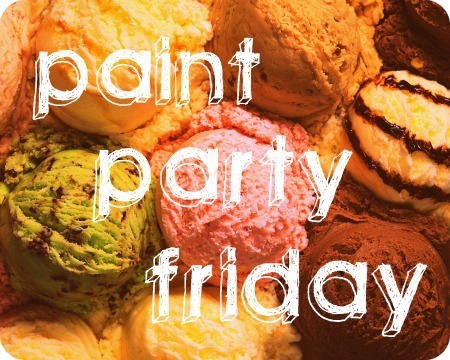 Welcome to week 21 of Paint Party Friday! 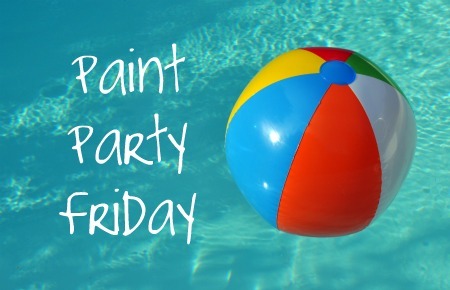 We hope fun, relaxation (and some painting), are top priorities on your summertime to-do list! 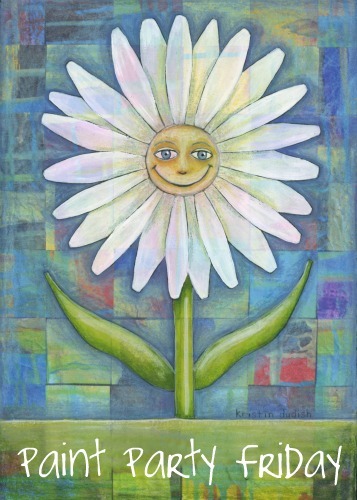 For our friends in winter - we hope these posts add a little sunshine to your days! Hope you are enjoying your summertime activities! Have fun at the party!